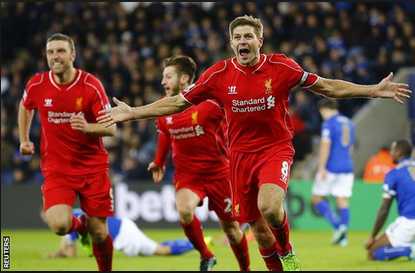 Liverpool vs Leicester match ended with 2-2 scoreline in English Premier League 2014. Gerrard scored two valuable goals for Liverpool in this match. Full Time Score : Liverpool 2-2 Leicester.